The Supreme Court on Tuesday expressed satisfaction over swift action taken by the Election Commission against various politicians, including Uttar Pradesh Chief Minister Yogi Adityanath and BSP supremo Mayawati, for their alleged communal speeches during campaigning saying the poll panel has now "woken up to its powers". The top court refused Mayawati's plea challenging the EC on Monday banning her from campaigning for 48 hours. A day after EC found itself "toothless" against hate speeches, which had invited the ire of the top court, the poll panel told a bench headed by Chief Justice Ranjan Gogoi that it has barred Yogi Adiytanath, Mayawati, Union Minister Maneka Gandhi and Samajwadi Party leader Azam Khan from campaigning for varying hours. The bench, also comprising Justice Sanjiv Khanna, refused to consider Mayawati's plea challenging the EC's 48-hour campaign ban on her on the ground that it has been inflicted on her without being granted an opportunity to put forth her views. "File a Special Leave Petition or an appeal if you want. We are not commenting on anything now," the bench told senior lawyer Dushyant Dave, representing the BSP supremo. The EC has acted because of the top court's order and the ban is "extremely drastic" in view of the fact that she has not been heard and, moreover, she has prior scheduled public meetings, Dave said. The bench, which had summoned an EC official for Tuesday to examine the ambit of the poll panel''s to deal with hate speeches, said, "It seems you have got your powers. It seems you have woken up to your powers". Senior advocate CA Sundaram, appearing for the EC, said, "We have found we have several powers" and listed out the action taken by the poll panel against some politicians. "Pursuant to the order passed yesterday, the Election Commission of India has taken action and the appropriate details of which have been submitted. No further order is called for today," the bench said, adding that the petitioner may mention the plea in future if the need arises. The EC Monday imposed a nationwide campaign ban on Adityanath for 72 hours and on Maneka Gandhi and Mayawati for 48 hours from Tuesday for their "provocative" communal remarks, which it said had the "propensity to polarise the elections". The all-India ban on all four leaders - two from the ruling BJP and two from opposition parties - came into force from 6 am Tuesday. While Yogi Adityanath, Mayawati and Rahul Gandhi were found guilty of violating the model code, the EC said Khan not only violated the poll code, he also disregarded its November 2013 directive asking politicians to desist from "deeds or actions construed as being repugnant to the honour and dignity of women". The bench was hearing a PIL filed by an NRI Yoga teacher based in Sharjah in the United Arab Emirates (UAE), seeking a direction to the EC to take "strict action" against political parties if their spokespersons make remarks based on caste and religion in the media in the run up to general elections. The top court on Monday expressed displeasure over the EC not taking quick action against politicians for communal and hate speeches during the Lok Sabha campaigning and decided to examine the ambit of its power following submission that it was "toothless". 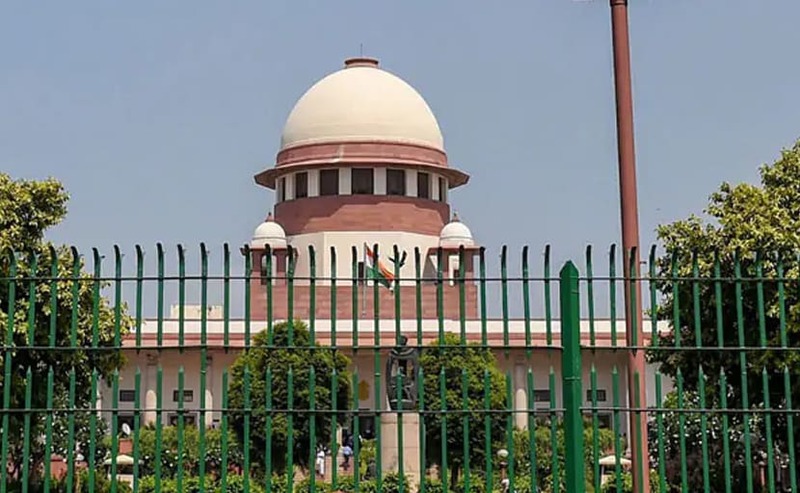 The top court, on April 8, had issued notice to the Centre and the poll panel on the PIL seeking direction to take "strict action" against political parties if their spokespersons make remarks based on caste and religion in the media in the run up to general elections.